Voila! Enlightenment in 5 minutes or less. Pardon me as I need to reboot myself. Hopefully I'll restart with a "creativity" upgrade feature that this blog badly needs. I'm much too young to be categorized as "Mother of the Bride". Heck, I'm NOT even a mother yet! But that didn't stop me anyway from picking up a skirt at the "Mother of the Bride" section at Saks. The skirt was originally very matronly - too loose of a pencil cut and with hem stopping at mid calf. 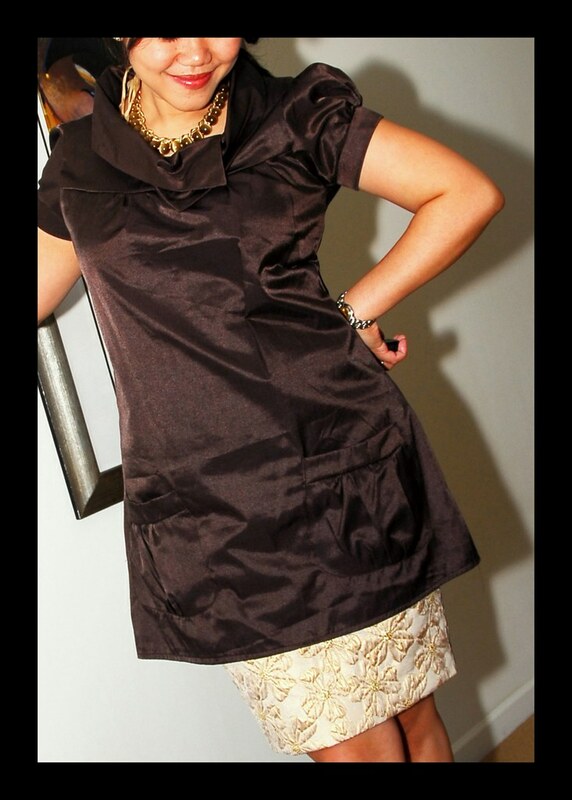 I asked a friend to shorten it just right above the knee and voila, this skirt is now packing with some ooh la la! Pairing it with a dress and I now have another "SKRESS" (Skirt + Dress) look. I wore it this weekend at our friend's baby dedication service. Coincidentally, it's the same friend who altered this skirt for me! More so, I was one of her baby's godmothers. I guess I'm a "mother" afterall... to 6 godchildren and counting! 1. Separate the zippers by cutting off the slider and the excess tape ends leaving only the teeth part. 2. 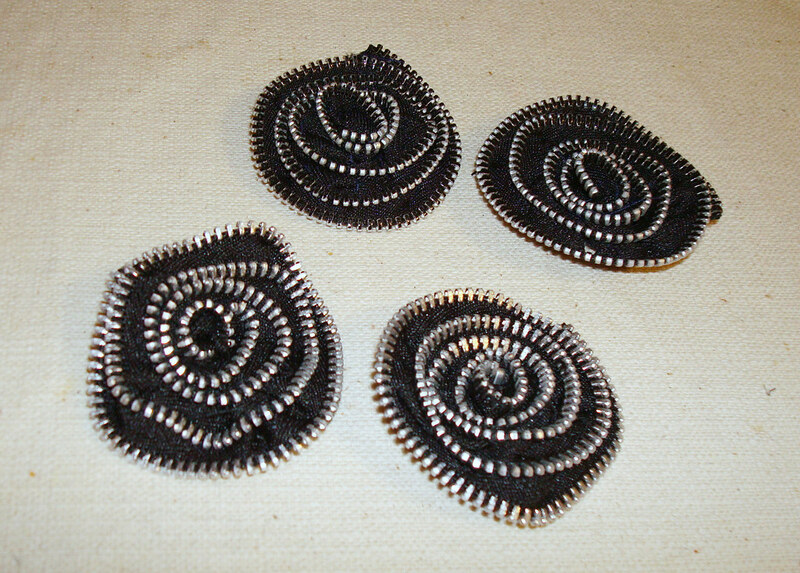 Stitch each into a rosette. The first round of petal is a bit tricky but it gets easier as the petal gets bigger. 3. 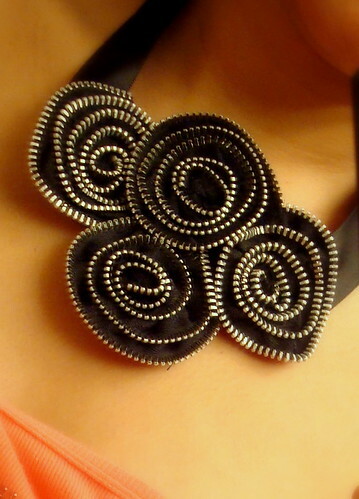 Using safety pins, arrange the 4 rosettes as you'd like it and stitch it in place. 4. 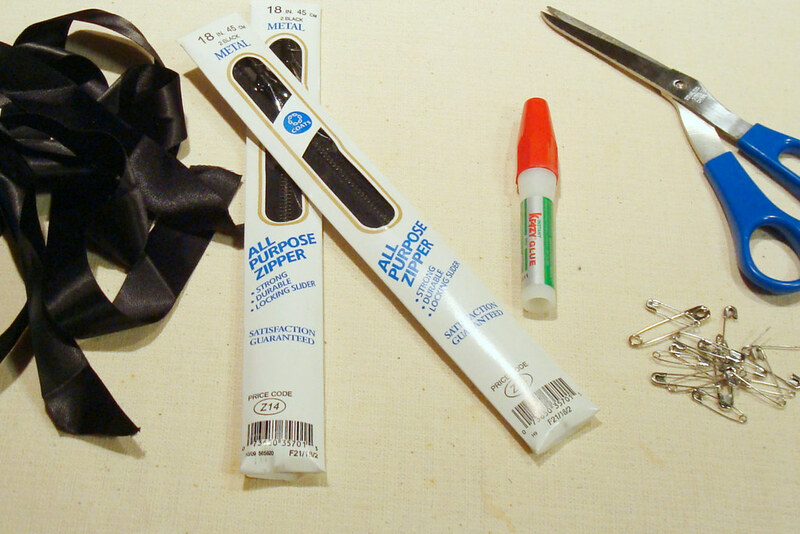 Again using safety pins, place the satin ribbon on the sides. Make sure to try it around your neck before you stitch it in place. 5. Optional: You can glue them together too if you want. Total cost for this DIY is $4.50 and it only took 2 hours while watching TV. 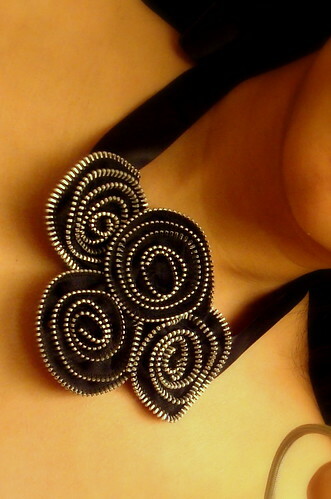 Click on the photo to see how I styled this necklace. 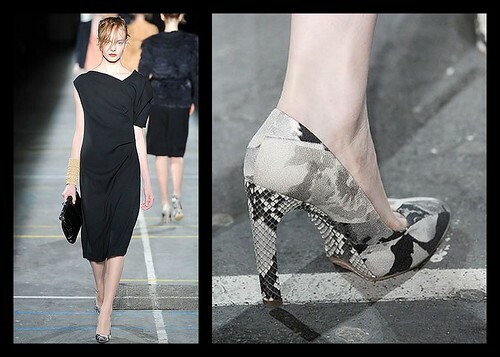 ...is for Dries Van Noten pumps with python-covered curved heel. Doesn't matter. I'll keep mooing in these! Pronounced as: Dreez van NOH-ten... not Know-ten... not Note-en. Short "o" and short "n". Have a great weekend everyone! Moooo!! Will you ever drop a grand for a skirt? For a purse, easy... but for a skirt, not a chance!! Well, unless it contains some magical powers. This Dolce&Gabbana skirt probably contains some magical powers. It's the only plausible reason why it originally retailed for twice as much as my first rental apartment. Glad I didn't see that right away or else I would have had a retail-induced panic attack. I first picked it up when it was already on its 2nd markdown at 60% off. Intrigued (who wouldn't be at 60% off), I tried it on and I was instantly smitten. It hugged my curves so well and the sheen bounces light very nicely (which unfortunately, I was not able to capture in this photo). It's simple, timeless, geometric and very Dolce-esque. Yes, if I'm a Tai Tai, I would definitely pay for this full price. So to wait, I must. May the (shopping) force be with you! One of our godsons turned 1 and for his party, guests were asked to come dress as a Disney character, a cartoon character or any kiddie character. Here's to reliving wonderful childhood memories! 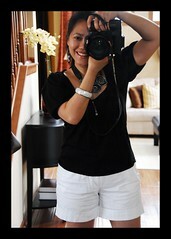 I'm also now on Twitter, it seems fun so far! Also signed up for Formspring Me, feel free to ask me anthing!